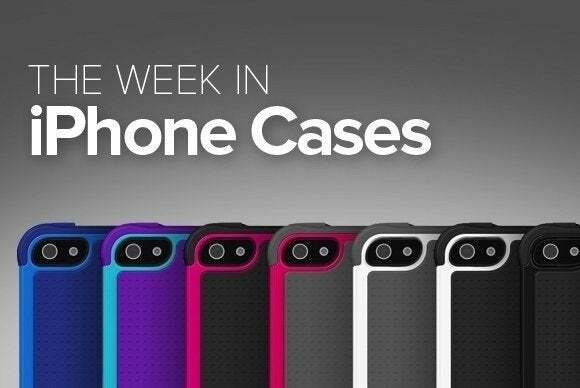 This week’s roundup of new iPhone cases brings you a few options for your Valentine’s Day celebrations, a shimmering alternative for everyday use, and a few all-weather solutions for additional peace of mind. 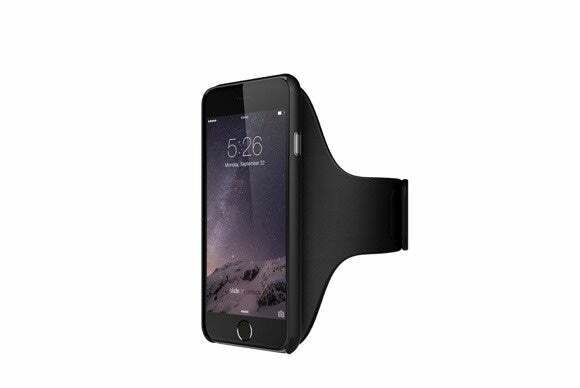 The Brassard (iPhone 4/4S, 5/5S, 5C, 6, and 6 Plus; $20 to $40) is an armband that quickly attaches to your arm, making it the perfect companion for running, working out, or performing any kind of activity where you need to have your hands free. The Brassard can be fully adjusted to fit your arm size and comes with an optional Coque case that further protects your iPhone. It comes in black or a much flashier pink. 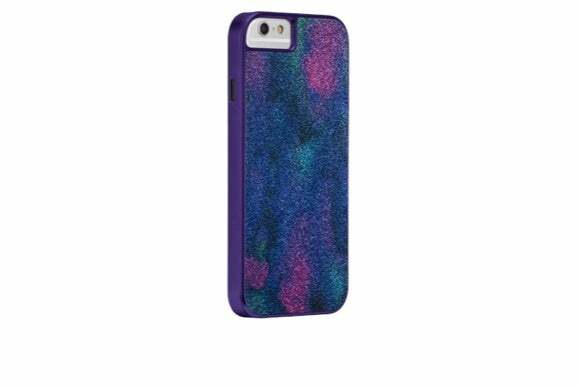 The Glam (iPhone 6; $40) offers a shimmering, sparkling design that is sure to attract attention while you’re out and about. 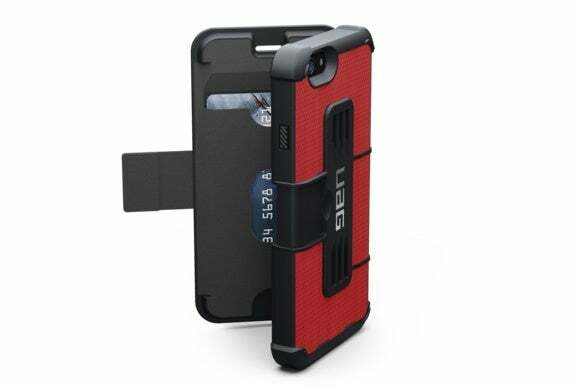 The case features a smooth finish that helps it easily slip in and out of your pocket, a dual-layer layout with a bumper to prevent unwanted damage, and color-coordinating metal button overlays that blend in with the overall design. To commemorate Pantone’s color of the year, Catalyst’s latest color, Marsala (iPhone 6; $70), shows off its classic wine-inspired color to help you celebrate the year in style. The case is waterproof up to five meters, meets military drop test standards from up to two meters, includes a protector that seals your screen without compromising its touchscreen functions, and offers unobstructed access to both camera, flash, and Touch ID. Made of durable, lightweight materials, the Catalyst includes a rotating crown dial that connects to your iPhone’s mute switch for quick operation. 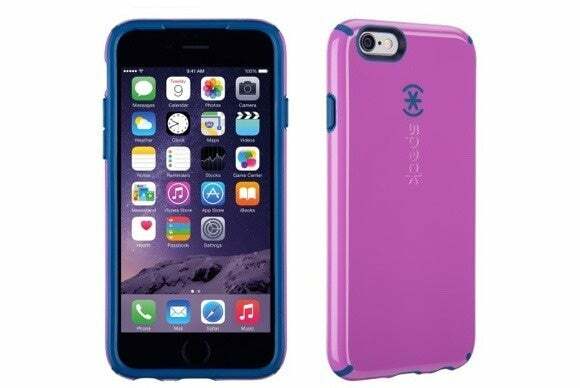 The Tokyo (iPhone 6; $30) protects the back of your iPhone with a simple, genuine leather shell. Designed to improve your grip for easier handling, the case includes pockets in the back to stash either credit cards or cash, and offers unobstructed access to all of the iPhone’s ports and buttons. 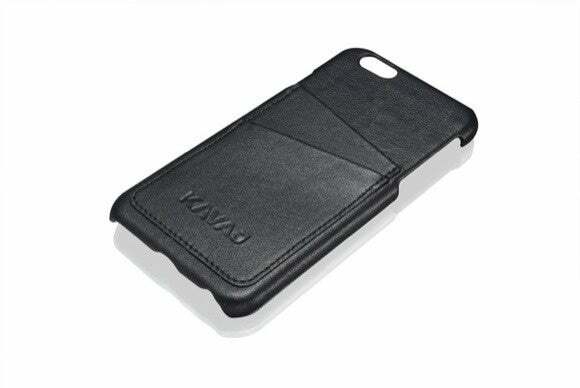 The Leather Snap On Case (iPhone 6; $35) sports a simple-yet-effective design that protects your iPhone from occasional bumps and smudges. 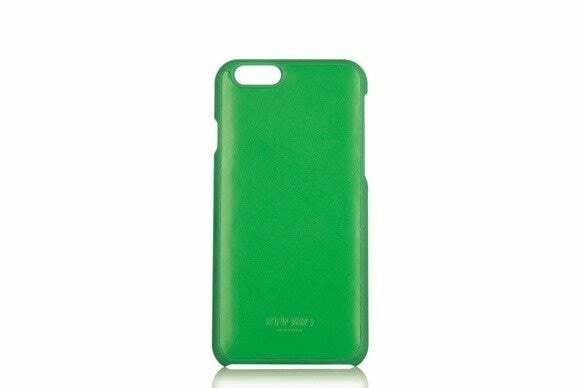 The case features a combination of synthetic materials and genuine leather for tasteful look, and comes in a selection of four vibrant colors: green, air force blue, tomato, or black. 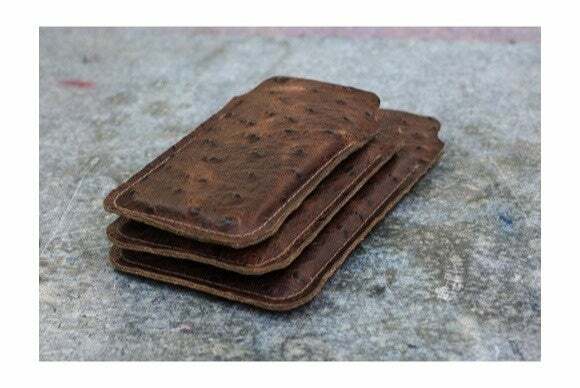 The Faux Ostrich iPhone Sleeve (iPhone 5/5S, 5C, 6, and 6 Plus; $50 to $60) is a genuine leather sleeve that sports a faux-ostrich texture and finish. Handcrafted to slim perfection, this trendy sleeve not only provides basic protection, but its unique texture and look makes it easier to grip while still looking great. 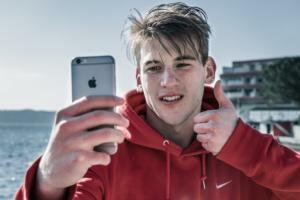 The Convert (iPhone 6; $55) is actually a complete accessory collection. It combines a screen protector, a Surface case with a built-in metal kickstand, an additional outer skin and skeleton frame, and a holster into a complete, end-to-end toolbox for your iPhone. The Surface turns into a stand in landscape orientation to let you quickly watch video on the go, and provides precise cutouts for all of the iPhone’s ports and buttons. The rugged skin and skeleton adds another layer of protection by covering the iPhone’s buttons and controls and further buffering corners and sides from accidental bumps. 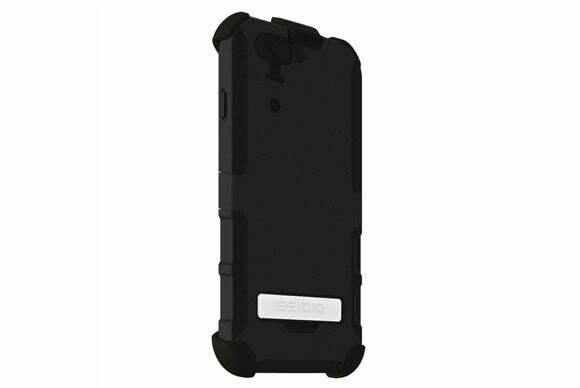 The holster features a removable clip belt that can be locked or swiveled depending on the situation, and the easy-to-install screen protector prevents scratches and smudges to your screen for additional peace of mind. Just in time for Valentine’s Day (anyone need a last-minute gift? 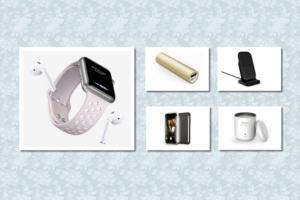 ), Speck released the Valentine’s Day CandyShell (iPhone 6; $35) in three vibrant colors: orchid purple, white, or pomodoro red. 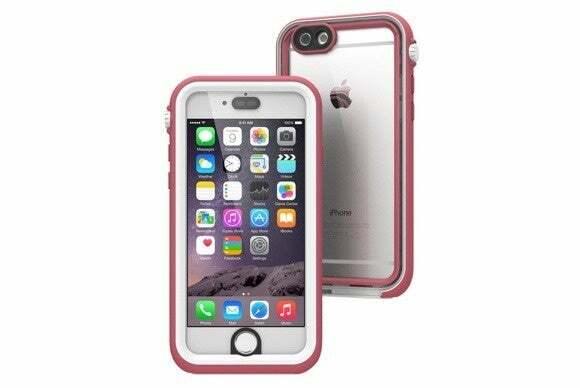 Designed to meet or exceed military drop test standards, the case features raised edges to help protect your screen when you lay your iPhone face-down on a flat surface, shock-absorbent corners that prevent accidental damage from impact, and a hard, smooth outer layer that makes it easy to slip in and out of your pocket. The Rogue Folio (iPhone 6; $40) provides complete protection with additional storage for up to three credit cards or photo IDs. Water resistant and lightweight, the wallet case meets military test drop standards for extra peace of mind, provides quick access to your ports and buttons, and features a glare-free camera opening that makes it possible for you to take pictures without worrying about unwanted flash halos.